At Family Roots Dentistry, we love taking care of even the tiniest of teeth! Did you know that tooth decay is the most common childhood disease? That is why the American Academy of Pediatric Dentistry recommends that a child should visit the dentist by their first birthday or within six months after the first tooth erupts. They recommend the first visit be at such a young age because our teeth are prone to cavities from the minute they appear in our mouth. YOU MAY BE THINKING – BUT THEY‘RE JUST BABY TEETH, SO THEY’LL EVENTUALLY FALL OUT, RIGHT? This is true. 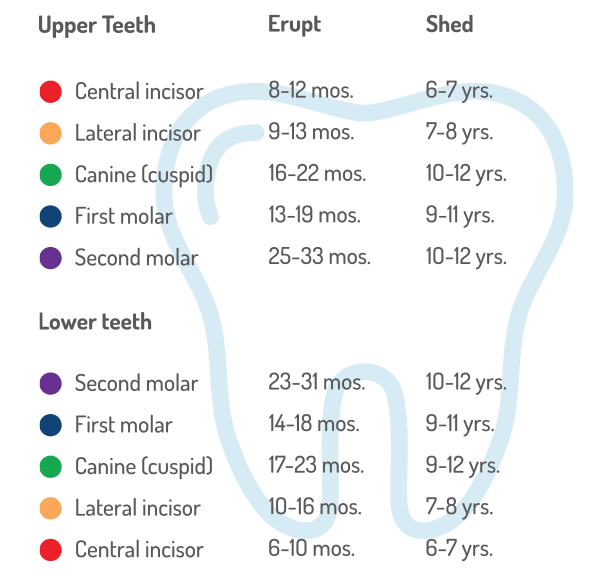 However, baby teeth do not begin to fall out until, on average, 6-12 years old (dependent on the tooth). If baby teeth develop cavities that grow too large and cause an infection, these teeth may be lost before they are supposed to naturally come out. 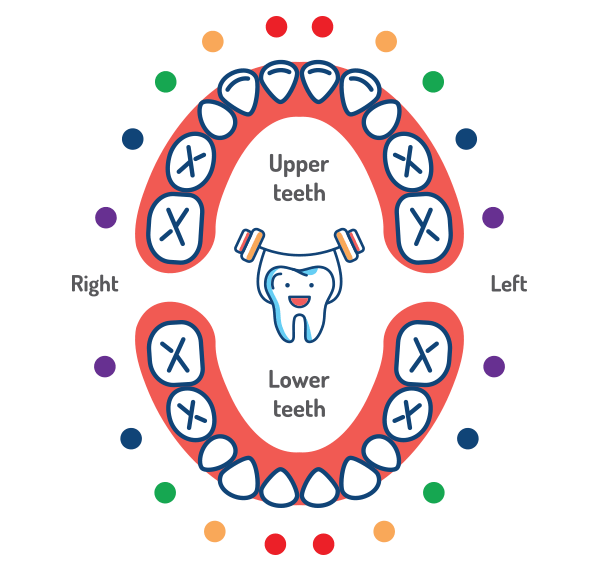 This can then lead to a variety of additional problems such as delayed eruption of adult teeth as well as lack of space for the adult teeth (crowding). WHY IS THE FIRST VISIT SO IMPORTANT? For the child, these visits help eliminate the fear of the unknown. We want them to get familiar with the office environment and get used to going to the dentist - leading to stress-free appointments for them in the future. For the parent, these visits help establish great oral hygiene habits and diet recommendations right from the beginning. We want you to ask us any questions you may have come across. These visits also help catch problems early on if there are any, making it easier on both you and your child to treat as well as help avoid from happening again in the future. WILL MY CHILD HAVE THEIR TEETH CLEANED AT THE FIRST VISIT? We always try. However, it really depends on the child, and it can be a hard thing to predict. At Family Roots Dentistry, our top priority is for your child’s first visit to be a positive one. We understand that a trip to the dentist can be a scary event for a kid – unfamiliar environment with weird noises and funny-looking tools and gadgets. That’s why it’s important to us not to “push” them. We know that each child adapts to new environments and situations differently. Every first visit is called a “happy visit” – we “go for a ride” in the dental chair and have a “show and tell” of common tools and gadgets that we use. For some kiddos that aren’t comfortable right away, it may take a few appointments for them to establish confidence and trust with us so that we can complete an exam and cleaning. For others, they sit back in the chair, open wide, and let us do the rest. Either way, our focus is to make sure every child leaves with a smile on his or her face. WHAT KID-FRIENDLY AMENITIES AND TREATMENT OPTIONS DOES YOUR OFFICE OFFER? If your child has cavities, we may be able to use air abrasion, a new technology that eliminates the need for anesthetic and the drill! Another treatment alternative is silver diamine fluoride, which can be used in select cases to stop the progression of cavities. And of course, best for last – the treasure chest! What age do baby teeth start coming in? What age will my child start to lose their baby teeth? Around 6 years old. The lower front teeth will come in first. As soon as their first tooth erupts. Special toothbrushes and toothpastes are made tailored to young children, and our team is happy to help you find what will be best for your child. Can juice and fruit cause cavities? Surprisingly, yes. While they can be good for you, they also contain excessive amounts of sugar so it’s best to limit their intake. Can crackers and pretzels (simple carbohydrates/starches) cause cavities? Again – surprisingly, yes. These foods stick onto the biting surfaces of our back teeth as well as in between teeth. Also, they break down into sugars, which cavity-causing bacteria love to snack on. Again, it’s best to limit their intake. 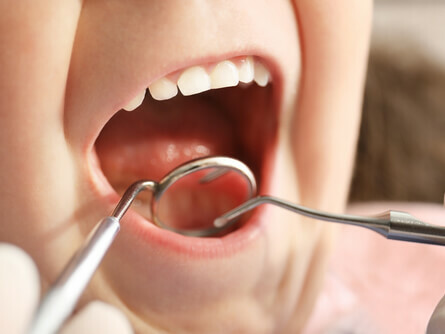 The American Academy of Pediatric Dentistry recommends children see a dentist every 6 months. 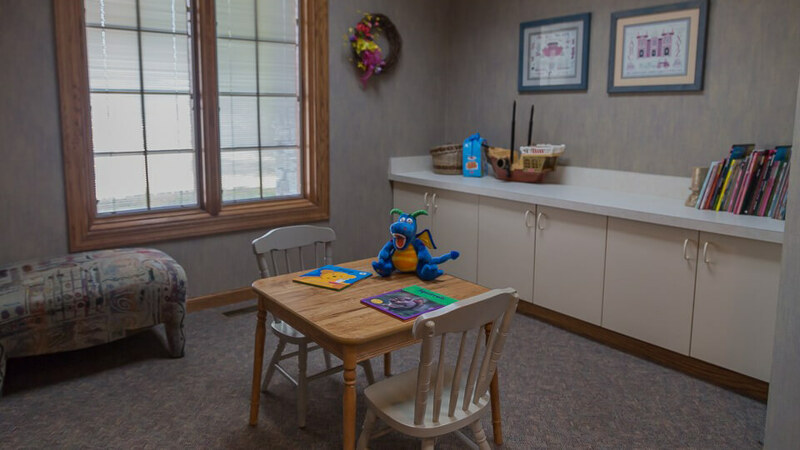 For any additional information or to schedule your child’s appointment, please call us at (815) 318-0620 or contact us here.